According to the Food and Drug Administration, more than one million hernia repair surgeries are performed annually, making it one of the most common types of surgery in the United States. 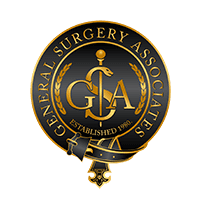 The surgeons at General Surgery Associates in Las Vegas, Nevada, have decades of experience performing hernia repairs. If you’ve suffered a hernia, book an appointment online or by phone to learn more about your treatment options. Of the one million hernia repair surgeries performed in the US annually, about 800,000 repair inguinal hernias. Inguinal hernias may be more obvious, and more painful, when you lift, strain, or cough. Inguinal hernias are more common among men. Not all hernias are dangerous, and in some cases, your physician may recommend a wait-and-see approach. However, if the hernia is painful, getting larger, or complicated in some way, surgery is the most common treatment. Hernia repair surgery is one of the most common surgeries in the US and is the only way to fully correct a hernia. Hernia repair can often be a laparoscopic, or minimally invasive, surgery. Your surgeon makes several small incisions and uses a specialized camera to better visualize the hernia while they repair it. In some cases, your surgeon may recommend open surgery done through a much larger incision. With this procedure, your surgeon has a direct line of sight while repairing your hernia. 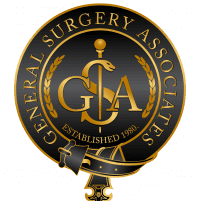 If you have questions about hernia repair surgery, book an appointment online or by phone with one of the surgeons at General Surgery Associates.